If you should go through Slovakia and stay less than 5 days, you can apply for a transit visa and you must show a ticket to a train or plane to prove your need for transit through the territory of Slovakia. For further information please contact us. If you have a plan to go to Slovakia for holidays, short course, business meeting, you can apply for visa with requirement in embassy. With schengen visa, you can enter and stay in Slovakia up to 90 days. For further information please contact us. Long term visa can be given for the purpose of granting a resident permit in the Slovak Republic or for the purpose of fulfilling obligations arising from international agreements or where it is in the interest of the Slovak Republic. This may be issued to an foreigner for one, two or multiple entries into Slovakia, intending to stay in the territory of Slovakia over 90 days, but no longer than 6 months in the period of one year. People from non-Schengen countries who want to work, study or live in Slovakia will need to enter the country on a long-stay visa and apply for the relevant residence permit after they arrive. Individuals intending to work, study or remain longer than 90 (ninety) days in Slovakia, must obtain an entry visa prior to their arrival in Slovakia. If you are interested to study in Slovakia for a short course or school or university, you should apply for student visa with the necessity documents as below in Slovakia embassy. Slovakia is a high income economy in central Europe. Slovakia joined the European Union in 2004 and the Euro zone on 1 January 2009 and also a Schengen zone member. 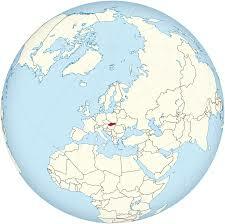 The country adopted the euro at the beginning of 2009 and the capital Bratislava is a major financial center. Once the foreign investor has accrued five years of continuous residence, the investor can apply for long term residence. After eight years, the investor can apply for Slovakian citizenship through a legal procedure called naturalization. For further information please contact us. Slovakia is a country in Central Europe known for its dramatic natural landscape and a lot of castles. Not far from the Austrian border, the capital of Bratislava offers a pedestrian old town with a lively café scene. The Bratislava Castle stands on a hill above the Danube River and is the branch of the Slovak National Museum, with exhibits starting from the Roman artifacts of 20th century decorative and applied art.